In the lead-up to a total solar eclipse, most of the attention is on the Sun, but Earth’s moon also has a starring role. During this type of eclipse, the moon completely hides the face of the sun for a few minutes, offering a rare opportunity to glimpse the pearly white halo of the solar corona, or faint outer atmosphere. This requires nearly perfect alignment of the moon and the sun, and the apparent size of the moon in the sky must match the apparent size of the Sun. On average, a total solar eclipse occurs about every 18 months somewhere on Earth, although at any particular location, it happens much less often. The total eclipse on Aug. 21, 2017, will be visible within a 70-mile-wide path that will cross 14 states in the continental U.S. from Oregon to South Carolina. 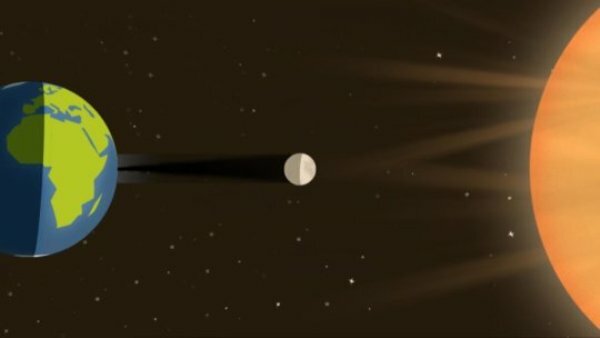 Along this path of totality, the umbra, or dark inner shadow, of the moon will travel at speeds of almost 3,000 miles per hour in western Oregon to 1,500 miles per hour in South Carolina. In eclipse maps, the umbra is often depicted as a dark circle or oval racing across the landscape. But a detailed visualization created for this year’s eclipse reveals that the shape is more like an irregular polygon with slightly curved edges, and it changes as the shadow moves along the path of totality. “With this new visualization, we can represent the umbral shadow with more accuracy by accounting for the influence of elevation at different points on Earth, as well as the way light rays stream through lunar valleys along the moon’s ragged edge,” said NASA visualizer Ernie Wright at Goddard. This unprecedented level of detail was achieved by coupling 3-D mapping of the moon’s surface, done by NASA’s Lunar Reconnaissance Orbiter, or LRO, with Earth elevation information from several datasets. LRO’s mapping of the lunar terrain also makes it possible to predict very accurately when and where the brilliant flashes of light called Baily’s Beads or the diamond-ring effect will occur. These intense spots appear along the edge of the darkened disk just before totality, and again just afterward, produced by sunlight peeking through valleys along the uneven rim of the moon. In the very distant future, the spectacular shows put on by total solar eclipses will cease. That’s because the moon is, on average, slowly receding from Earth at a rate of about 1-1/2 inches, or 4 centimeters, per year. Once the moon moves far enough away, its apparent size in the sky will be too small to cover the sun completely.